Your support is a sound investment in today’s young people and tomorrow’s music in the Greater New Orleans, Louisiana region. 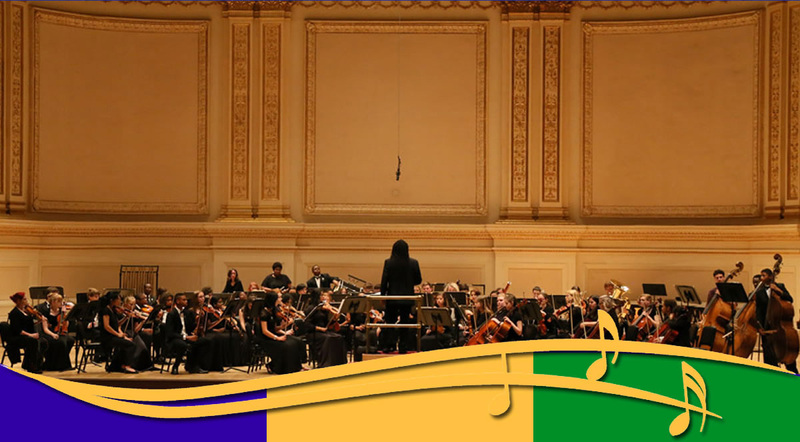 At the Greater New Orleans Youth Orchestras, we aim to prepare our students for the best stages in the world from New Orleans’ Orpheum Theatre to New York City’s Carnegie Hall and beyond. We commit to providing exciting programs that stimulate and engage the minds of all our members in order to cultivate creativity in a passionate environment spanning from the rigorous audition process to each rehearsal and in every performance. The youth who participate in GNOYO are focused and driven. 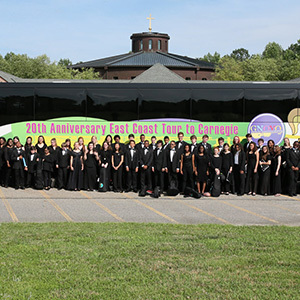 They engage with a range of challenging orchestral repertoire that prepares them for success in any field from music to medicine. 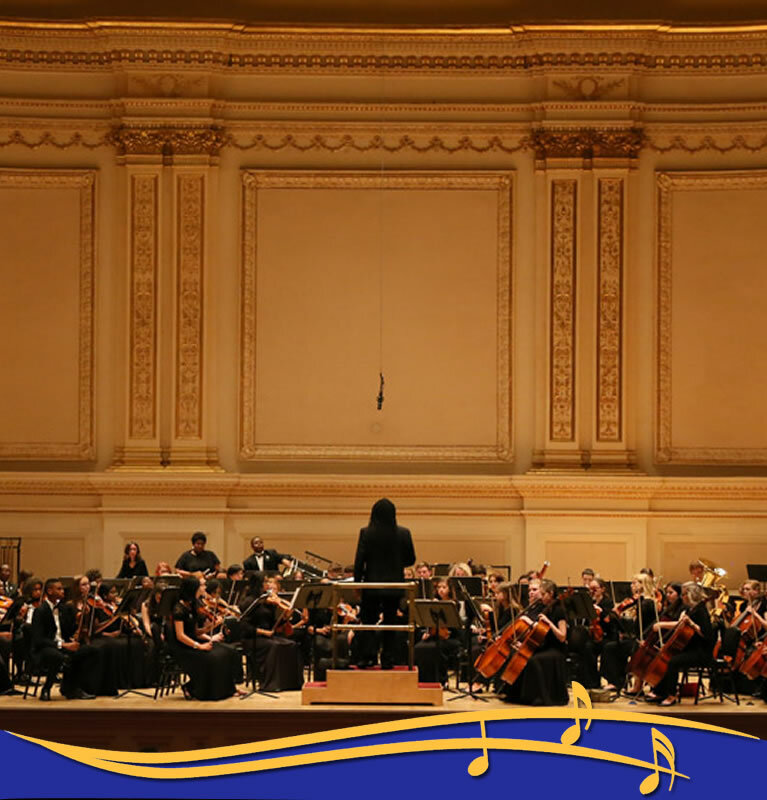 100% of our students matriculate to competitive conservatories, universities, and colleges, nation-wide. Here at the Greater New Orleans Youth Orchestras, we aim to create a nurturing and inspiring environment wherein our team of music educators fosters strong values in every student, instilling each of them with sensitivity as well as a solid sense of responsibility and purpose. Such values cultivate mature human beings who thirst to find ways to serve their community and the world. 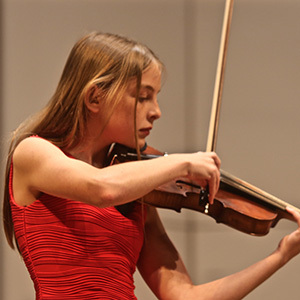 Our Orchestras are filled with young people who contribute to making the world a better place one note at a time. Through the Greater New Orleans Youth Orchestras, we strive to transform the lives of every student through a comprehensive curriculum that provides every willing young person in the area access to a quality and comprehensive orchestral program. From individual instruction, to chamber music coaching, to boys’ choir foundation, to full orchestral studies. We provide a program that challenges our students to reach their full potential every step of the way. 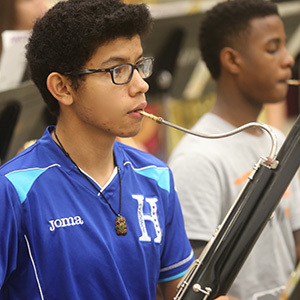 Through our performances we enrich the lives of all in the community and reward our students with a quality music education that is a gift of a lifetime. As a result, we hope they will become sensitive active and contributing members of the community and live rich and fulfilling lives.